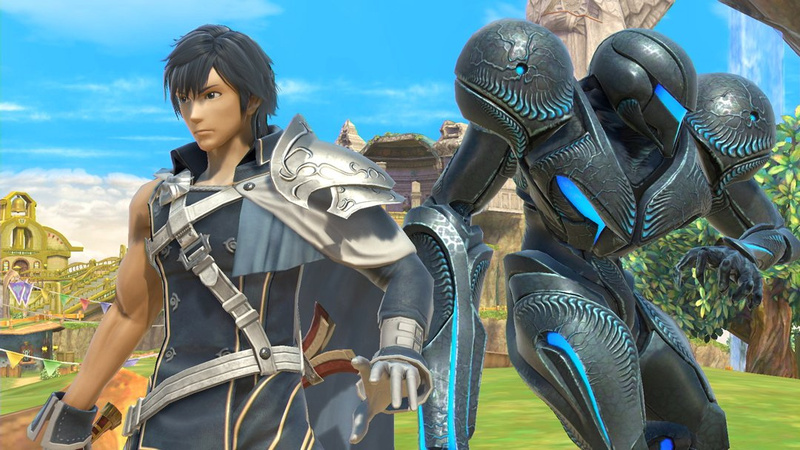 Chrom and Dark Samus will be playable as echo fighters in Super Smash Bros. Ultimate, it has been revealed. The news comes from today's Super Smash Bros. Direct, where both characters were shown off with shiny new introduction scenes. Both of these fighters were highly requested from fans, and each play slightly differently to the characters that they are based on. Are you happy with these inclusions? As ever, feel free to share your utter excitement for all of this Super Smash Bros. news in the comment section! I’m loving these echo fighters. It means a massive roster with less development. Dark Samus looks excellent. @GamePerson19 I never hated clones. I must’ve been one of the few. A crocodile is coming too!!!!!! And my wallet was never heard from again. Thanks amiibo. More meh. Would rather have had another two new characters. Dark Samus and Ridley amiibo it is then. You do realize that's not how it works right? And besides, we did get 2 new characters. Going to call this now but Jeanne will be Bayonetta Echo Fighter. Dark Suit Samus looks GOOD! I'm less gutted. Since we won't be getting Soul Calibur VI, this is a good replacement. Solid additions to the game. I'm really excited for King K. Roll (I'm a fan of the tank like characters). Interested in trying the new stages. I geeked out at the New Donk City stage. @BLD who? How what works? Love love love Dark Samus, I am officially psyched.., Thank you Nintendo day one purchase. Please tell me we are getting a Dark Samus amiibo . Now give me Krystal as an echo fighter for Fox. I'm happy for Chrom fans who wanted him in since Lucina's Smash 4 trailer. As for myself, I'm glad to see a Metroid Prime representative in Smash! Not sure if I'll main either, but this is still awesome! So I'm guessing Chrom is an echo characters for Ike? @Yorumi Krystal is an Assist Trophy now. Didn't you watch the direct? Hard pass, next we'll probably start seeing demand for Weavil because "Metroid is forgotten" again. Yet everyone laughs at F-Zero wishes. Hah, I knew that Chrom amiibo I bought would eventually serve a purpose. @Alantor28 Yes I know, and that annoys me. We have 18,000 Fire Emblem characters and they're still adding more as echos, but main characters from multiple Star Fox games? You wish, here's an assist trophy hope you enjoy it. Nice pair of echoes here, neither big enough for a full fighter but a nice option for fans of their respective series. I like there are subtle changes like the floaty nature of Dark Samus that reflects the differences and adds some variety. Just the sort of thing that added together will make Smash Ultimate fantastic. I never played Smash 4 can someone in the know tell me if the echoes from that got amiibo or just the regular fighters? I'd love a Dark Samus amiibo but don't want to get my hopes up if it's not in the offing. @Yorumi Dude, don't get upset about an Assist Trophy, it's a just game. Not everyone can be pleased easily. So don't complain about it. I'm hoping assist trophies are worthy of amiibo b/c I'd pay $15 for Krystal and $25 for Rathalos. And they really needed to add a Guardian from BotW as an assist trophy. We already have that $20 amiibo. Maybe when they unveil "story mode" the guardians will be one of the main villians? It would make sense, ride that Zelda popularity. @Turbo857 he is Roy's echo fighter.... Only knew that because his number is 25³ which is Roy's number. I'm WAY more happy for Dark Samus than I am for Chrom. Even though Chrom is an Echo, it's ANOTHER Fire Emblem character and not even a different kind of character, like Robin being a mage or someone who uses a different weapon, it's another sword character D:<. I came here for salt generated by another Fire Emblem character, and can happily say that I've found some. It's nice to see both of them in, although almost everyone predicted that these two would be echo fighters. We only need Shadow now! Mildly hppy about Dark Samus, shaking my head at Chrom. I like Echo Fighters as they give us more characters that we wouldn’t get if they had to be unique, but did we really need another FE character? And, most importantly, didi we really need a 4th version of Marth? Crazy to see the salt generated by FE characters. Fact is, the series has a massive amount of characters. 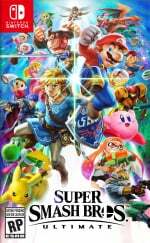 Smash is really only scratching the surface, whereas 2 or 3 characters basically cover many other series. @rjejr yep need more sword users, . I actually probably would buy a Krystal amiibo. Just annoyed me overall because we need more Star Fox representation, she could have very easily been adapted to Fox's moveset. Actually, Chrom appears to crib moves from both Ike and Roy's movsets. He's possibly the most different Echo Fighter yet. Really? That's funny considering Roy is an echo character himself. Chrom is now an echo of an echo. I guess that makes sense. Even as FE characters Chrom and Ike have different fighting styles anyways. Dark Samus! What a good surprise! Holly cow, people are complaining about an echo fighter just because he's from Fire Emblem? It's not like he's taking up a new fighter slot. @BLD oh, I didn’t notice that. If it’s do then it’s certainly better. About your other comment, of course FE has a lot of characters compared to other series, but I don’t think it’s right to give it that many reps. FE has a lot of characters with a total of 4 different fighting styles (Corrin, Robin, Ike, Marth), while series such as Star Fox has 3 characters all with the same style. The same is true for Mario, it already has a lot of characters and that’s why I don’t get the utility of adding Daisy in. Gonna guess there will be more Amiibos. Not a bad thing. I'm one of those crazy people who loves the massive Fire Emblem representation in Smash, as Fire Emblem is my favourite Nintendo IP. Chrom's inclusion is great, though I would have preferred someone from an older title as Awakening already has two reps in Robin and Lucina. Awakening is the one that exists in the public consciousness, though, so I understand his inclusion. Well therein lies the problem. If the FE characters got more diverse movesets, that means more time spent on them, meaning more complaints about 'why not Waluigi' or whatever. Making many of them clones or semiclones is just a quick way to add in a bit more series representation. Believe me, Sakurai could've had the team spend a lot of time adding in characters with more diverse movesets from other FE games. On that note, it's hilarious to me to see people - the same people - tell Waluigi fans to buzz off. "It's Sakurai's game, not yours!". Then Sakurai, an admitted fan of the series, adds more FE characters and now suddenly these same people throw a fit. It's fun to imagine though. Micaiah would be a fun choice. But if we're doing swords, what about at least someone mounted, like Sigurd? Hector is clearly popular and an axe fighter would be great. Camilla would be a fun pick just for the sheer salt, let alone the moveset potential of a magical battle-axe wielding wyvern rider. Good now they just need to bring Mega Man X, Ken Masters, Ms. Pac-Man or Pac Jr., and Wart (instead of fire he breathe bubbles) as echoes for Mega Man, Ryu, Pac-Man, and Bowser. @BLD at least for me issues like Waluigi and others are exactly why I complain about the FE emblem characters. Even as echo's it's still taking up a spot from another character because many of them could be put in as echos as well. The FE parade just becomes silly when it has great representation already and at this point there are just so many more deserving characters. @BLD yeah I get the reasoning, I know EF are not taking any resources away from making “unique” characters. Regarding Waluigi, I for one wouldn’t want him in, as we already have a lot of Mario representatives. One thing I’d like to see, though, apart from Skull Kid (seriously, I think he’s the only character I can ask for...ok, maybe Midna too), I’d like them to differentiate more the 3 Links we have: it’s a pipe dream, I know, but it’d be cool if Adult Link adopted a completely new style based on BOTW, while Young and Toon could be similar to each other. On the topic of Young Link, I think it’s a missed opportunity not to give him the Majora design or even a mask-based moveset to set him apart (yes, I love MM lol). Much more excited about Chrom than Dark Samus. Would definitely like Rex, Octoling, Proto Man, and Shadow as other Echo Fighters. Dark Samus has a truly beautiful model. Whoever made it should be proud of themselves. Yes! Dark Samus was high on my list of Echo Fighters. Now I just need Shadow and Octolings and my life will be complete. @Yorumi Starfox Adventures 2 - where Starfox and his crew get captured by Andros and Krystal has to save them. Now that would drive the internet crazy. I wonder if Wii U didn't die so tragically if the main Starfox crew wouldn't have had amiibo for SF Zero? I'm pretty sure Slippy would sell. Well there's always DLC. Could still happen. The Cloud and Bayonetta amiibo I think came out 2 years after SmashU. I'm also supportive of Chrom, though he seemed a bit one-dimensional at times. @rjejr at this point it almost hurts thinking of the potential the Star Fox IP as and how much nintendo is squandering it. Even though it's not technically Star Fox at least Starlink is looking like the best Star Fox game to release in the last 20 years. With Toys R Us shutting down and all the Targets near me shrinking their videogame departments down to little more than an aisle I'm not sure where those Starlink toys are going to sell. Even the Gamestops I've been in lately have almost zero toys to life toys. I think Starlink may be 2 or 3 years too late. Though if they decide to make it all playable w/o the toys it has a chance. Starfox will help though, that's for sure. "Deserving" according to who or what? I hate to break it to you but Awakening outsold SF Adventures, Assault, and Command combined. That's all 3 games Krystal appeared in, I believe. Now Nintendo doesn't dictate Smash reps solely on sales, and thank god for that, but at some point people are going to have to accept that FE is a big deal now. @rjejr Yeah I don't know how well it will actually sell, but to me it doesn't need to. Starter set comes with the Arwing, game can be completed without any other toy so yay. The previews look pretty good too. So I figure it should be pretty fun and if nothing else I get a cool Arwing to display. @BLD bigger than Zelda? Without counting I can't even be sure Mario has as much representation as Fire Emblem. At some point we all say just how many swordsmen do we need with slightly different hair? And here comes another sword fighter lol. This one is fine to me though cause it felt funny having Robin and Lucina make it without Chrom being playable in SSB4, so I'm happy he's here. Oh and hey, looky here... After years of Metroid having no bad guys representing it, we now have Dark Samus and Ridley. Awesome! First of all, We already have the main character from every single mainline Zelda title playable. His name is Link. There are 3 of him, even. Fact is, some games simply lend themselves better to more fighters. As to your second point - I agree! They should spend more time making more FE characters with more unique movesets. Instead of just making so many of them similar to get them in quickly. Wait, don't tell me that isn't what you want! At least Richter and Dark Samus have enough unique animations and stylishness than a simple recolor would have, so I can forgive this type of blatant clonage...but I'm already having a hard time keeping track of all the Fire Emblem characters. Who the heck is Chrom? What game was Lucina from? What about that which-haired dude who was also a chick?....aw, who cares? Roy's my boy, anyways. Not sure how much you're joking, but Chrom looks to be the most distinct Echo fighter so far. @BLD Yeah it's not like Hyrule Warriors managed to come up with just short of 30 characters. Fire Emblem is clearly the only game that can have so many characters. Wow, that's one of the most wild things I've heard today. Besides the obvious "har har blue hair" thing, I'm not sure how you could tell Ike and Marth apart, but not Marth and Chrom. EDIT: If anything, it would at least make some sense to confuse Chrom and Ike. dark samus actually has a really cool looking style. Amazing. I have a friend who will probably love a different samus playstyle. Chrom is the first newcomer I've raised an eyebrow at. I'm not upset or disappointed, just confused about what he adds when we already have Marth, Lucina, and Roy. At least now I know why Roy wasn't classified as an Echo Fighter. He was getting his own! So does that mean we're getting Dr. Luigi as an Echo Fighter for Dr. Mario? So HW managed to scrounge up 30 chatacters, including a large amount of OCs, tons of villains, and a few joke picks. Hate to break it to you, but even the smallest FE casts have at least 40~ playable characters. Just looking at the main characters of each entry, we could have a solid dozen, as an absolute minimum. Did I say a dozen? Guess I meant 20. Now, nobody is clamoring to have all of these in Smash, it'd be redundant. But the potential for characters from FE dwarfs all other series barring Pokemon. Difference between those two is, FE can get more new clones/echoes a lot easier than most Pokemon can. @LArachelDisciple He adds Ike's up B, and possibly more. He was an easy solution to making a unique character pieced together from other moves. @BLD yeah and most of those characters would practically be clones. What's the point of having a quarter of the cast fire emblem characters? They can add who they want but it's kind of silly how over represented FE is. Not counting the clones already present, I can only really see Eirika being discounted as a clone automatically. Even then, she has a mount as an option to differentiate herself. Alm and Celica could be made clones, but also have access to a bow and magic respectively. Lyn's technique is pretty damned distinct, and also has bows/a mount. Hector is an axe wielder, currently unrepresented in Smash. Ephraim wields a lance, also unrepped in Smash. Micaiah is a pure mage. Ryoma dual wields lightning blades. Heck, when you look at the insane potential in all the different weapons and classes represented, it becomes pretty apparent that the only reason FE has so many clones is to save development time. I've wanted Chrom since SSB4. So excited! @BLD When you consider the way smash plays a lot of those weapons would basically just be swords. With Link already in most of the characters you mentioned would be very similarly to either another FE character or Link. I mean while we're at it lets just add the hundreds of animals from Animal Crossing. That's a popular franchise, why not make three quarters of the character select be FE and AC? That's just wacky to the point that I'm not even sure you read my message. Like, what about the sheer number of characters who use fists? Are you going to compare Luigi to Ryu? No, of course not. Link, Pit, Shulk, Ike, Robin, and Marth all use swords in very different ways. The only reason so many FE characters play alike is because it's an easy way to pay homage to a fraction of the series. But since you apparently want the devs to spend even more time making more unique FE fighters, then hey, I gave you plenty of options. @BLD I'd rather they balance things better across series rather than making Fire Emblem smash with a few guest stars. The series is represented, enough already. @Yorumi Starlink should be fun, couch co-op helps, but Amazon is skipping the Prime discount on this one so we'll pass on the $75 for now and see what happens. It could be $40 by May if it doesn't sell well. I can't imagine a lot of PS4 and Xbox owners picking it up but those Switch versions should fly off the shelves. @rjejr all the more reason that I'm dumping prime when my current time is up. I was wondering why this is the thread with the most comments on this site. But yeah, new fire emblem, i forgot. @Arpie Yes they all got Amiibo if they truly were echoes. Characters like Bowser Jr or Villager have multiple costumes, in a case like this, no amiibo were made since they don't count as an echo. Eh, if ya wanna get super technical then I agree. But Roy started as Marth's clone in Melee and he didn't get a complete animation overhaul as DLC for the Wii U so he still kinda walks that fine line between being an echo and a completely original character imo. Even still, I have no regrets about new characters any way we can get'em. Yeah, mine is up mid September so I need to get all my holiday gifts ordered before then and hope for the best, $100 is out of my price range. He was the number one character I wanted to see in the last Smash. That's one down, King K Rool is 2 down, Ridley is 3 down... now we just need Dixie Kong, Rex with Pyra/Mythra as his blade (would make for very interesting gameplay), and a Monster Hunter character. Thanks to GCU I snagged Starlink for $59.99 (+ $3.60 back with CC, so $56.39). Membership lasts til Mar 2020, gotta get it in. I'm just doing fire emblem battles from here on out. So excited! Then Dark Samus came and I thought that was super cool. Overall, I’m glad we’re getting Echoes. More characters that wouldn’t otherwise be playable. Chrom’s growing on me, and it’s neat he’s included. Get'em Jax. I'm pretty sure you're the reason they canceled it. How goes summer? I was just thinking today I hadn't seen you in awhile, probably b/c I haven't' been on here that much, busy vacationing. Hazy hot and humid by you like the rest of the planet? I haven't been keeping up w/ your neck of the woods as my sister spent a month driving down to Texas and back. You still collecting all the amiibo? I think you told me you quit awhile back, but some of these look worthy of ownership, even for us. Ridley for one. Possibly Kool but I'll need to see it first. I bought a bunch of AC amiibo during the TRU shutdown, and I bought a new saw to build an amiibo shelf, I'll send ya a pick when it gets done. Can we have one more fire emblem character? There isn't enough salt for this popcorn. @Syrek24 Chrom was an awesome surprise! I was curious how they'd do him since in Awakening he and Lucina are supposed have the same fighting style, but I doubted they make a second echo fighter of Marth. Making him a Roy echo instead ensures that he's different enough to justify a spot, but still similar enough to Lucina. And giving him aeither is just too perfect since he can not only use that skill in Awakening, but it matches the move both him and Lucina use in their first encounter. Also, Rex/Pyra/Mythra is my most wanted newcomer. The only thing holding them back is how new they are vs. Smashes development cycle. But if there's DLC I can almost guarantee they'll be added with how much Sakurai loved Xenoblade 2 (heck they may even be in the game now). Either way, we better get some sweet new Xenoblade X and 2 tracks this time around. The Xenoblade series has grown 200% since the last Smash, and Ultimate should at least try and reflect that somewhat. Still, if it doesn't, I can't complain too much with how much wonderful stuff is already in the game. Chrom was my most wanted character for the 3DS / Wii U versions. I'm glad he finally joined the battle! He's going to be my new main. @prince-jay thank you for clearing that up I can now safely get excited! Title: Chrom and Dark Samus announced! Is it too much to ask to have some actual 'content' in the content? ...like, as a bare minimum, just a line or two on who the characters are and which games they appeared in? I say this as a fan of the site. Articles like this are sub-standard and disappointing to see.